Ok so I decided to go and let this dentist office check my toothache that I have been having on and off for about a year because after the last dentist visit I had at another dentist office, I said I would never go to a dentist again unless I was half way dying. So, after the visit and back and forth about which route to take I decided to have them extract 5 teeth and do a root canal and crown on another one. They said that they were going to do all this in one visit. I was like "THE HELL YOU WILL" all that in 1 visit....they must have thought I was Boo Boo the fool. They told me that they were going to do a oral conscious sedation. Now, those two words just didn't go together for me and I questioned it quite a bit. They said that I would take these pills an hour before my appointment and that I would not remember anything. I was like these people got me mixed up with someone else to actually believe that. Well, the day before I called and said that I changed my mind. Ms. Stephanie talked to me and assured me that I would be fine and I wouldn't feel anything. So, the morning of the procedure I took the medicine and let me tell you....THAT'S ALL I CAN RECALL!! Like if it wasn't for the fact that my mouth was sore I would not have believe they did anything to me. This was THE BEST DENTAL EXPERIENCE I HAVE EVERRRRRRR HAD!! I would recommend ANYONE with a fear of dental procedures to RUN TO THIS DENTIST OFFICE. I am 43 years old and I allowed my teeth to get to the point of NO RETURN because I was so afraid of going to the DENTIST!! And ON TOP OF THAT.....the STAFF IS AMAZINGGGG! Like this Dental office should be the STANDARD OF WHAT A DENTAL OFFICE SHOULD LOOK LIKE AND WHAT THE STAFF SHOULD ACT LIKE!!!! DR YOSIF....THAT DUDE IS THE BEST!! (And he smells AMAZINGGGGGGGGG) And when he talks all you smell is FRESH WINTERGREEN!!!! He talks to you so calmly and makes sure you understand EVERY OPTION not just HIS OPTION....he gives you the WHOLE PICTURE of what is happening with your mouth. If you don't give them a try.... YOU ARE DOING YOURSELF A HUGE DISSERVICE!!!!!! I am a patient for LIFEEEE!!!! My family will go NO WHERE ELSE BUT TO THIS OFFICE!!!!!! I had a great experience as a new patient. My hygienist Rebecca was thorough in her work . Dr. Patterson gave me an excellent rundown of the work that will be required. Leslie in administration was able to run down the insurance coverage and explain my options. I will defiantly be returning since I did not have to call back for coverage explanations and the fees are reasonable. The dental hygienist Rebecca Coleman is the best! My wife and I both use Center For Cosmetic and Sedation Dentistry. They are totally awesome...from the dentists to the staff...everyone is so helpful and customer-focused. I don't normally do reviews but feel they deserve it totally. I highly recommend this Dental office, they are very welcoming and professional. I was under sedation during my whole procedure and Dr. Kallu and his assistant Susy made me feel very at ease. Thanks to the whole staff for being awesome!! This place has the absolute best staff. Dr. Kallu has been awesome and Mercedes always takes great care of my braces. Couldn't be happier! After a bad experience at another facility, I avoided going to the dentist for years. However, the loss of a crown forced me to find a new provider. The staff here was so nice and accommodating. They saw me the same day and actually improved the crown's fit. And although I normally suffer from awful anxiety, I felt at ease and scheduled an appointment for my first cleaning in years right then and there. I braced for an intense visit/cleaning after years of neglect but once again, was pleasantly surprised. Rebecca, my hygienist, was wonderful, informative, non-judgemental and made my visit comfortable and easy. No soreness afterwards and I was happy to schedule my 6 month visit. I'm thankful I found them and apparently have lost my fear of the dentist - no sedation needed! Team is always courteous, professional and organized. Mercedes and Dr. Nurani are exceptional, always providing excellent dental care. They took very good care in every aspect, especially Dr Kallu, McKenzie, May, Pang, and Mercedas. They make sure the patient is aware of all that is going on around them. Highly recommend them!! Dr.Oh was great with treating me! Elena is an awesome assistant! I recommend all of my friends and family to come to this office! I met Mercedas and Alex they were so friendly! I look forward to all of my visits!!!! Dr O. and her staff are very professional and top notch. I was sedated some, but meds I take for other issues interfered with the sedation process causing it to not take like it does. This wasn't my first rodeo sadly. They gave me headphones and gas to make me feel better. It was my fault not theirs. I was the difficult one, because I am a big baby. They tried in every way to take care of me as I braved on so the work could be done. My 4 hour visit only turned to 8, because they wanted me to be comfortable prior to starting procedure, it had nothing to do with anything done wrong by them. The Dr , hygienist, assistant and the office staff are amazing and always do whatever they can to make me comfortable. I have been going to them for over 10 years and each time I am treated like family, not just a patient I really love and appreciate you guys for even putting up with me. I apologize for being difficult. Great experience. Very gentle and caring and respectful of my dental phobia! 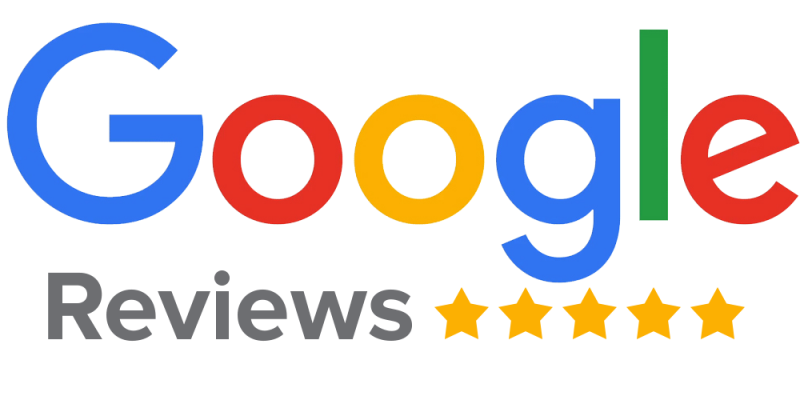 My daughter had a consultation and Leslie and Dr. Oh were very friendly, informative, they both took the time to thoroughly explain procedures to me and my daughter and answered all of my questions. Made us feel very welcome! Thank you!! Awsome for real, no joke.After going to Great Expressions and several others, finallyI got great service and not overcharged and upsold. A+ on everything and i do mean everything and everyone.Thanks Audry from Publix for recommending The Center for Cosmetic and Sedation Dentistry.